Paris, 1975; Chelsea, 1984; Birmingham, 1985; Bradford, 1986; Bournemouth, 1990. Many of the most shocking incidents in British football history have involved the hooligan followers of one club: Leeds United. For 40 years they have run riot across the country, punching their way to international notoriety, yet they have remained the most secretive of all mobs. Journalist Caroline Gall spent two years interviewing participants from several generations to piece together the first ever history of the gangs, from the Shipley Skins to the youths of the present day. The apex of this hooligan army was the Service Crew, who adopted their name from the service trains they used instead of the heavily policed 'specials'. They emerged as the casual era dawned and, against the violent backdrop of the Miners' Strike, quickly became feared by their terrace foes. The police eventually launched Operation Wild Boar to take down the ringleaders, only to convict a small number of relative fringe players. 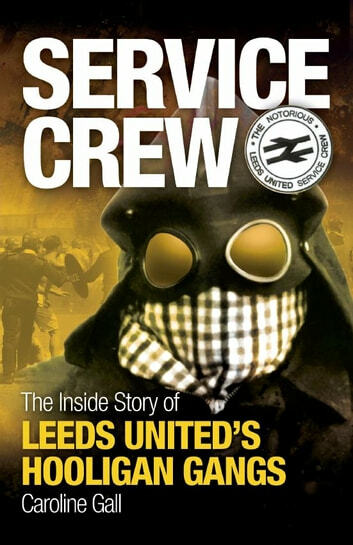 SERVICE CREW examines racism at Leeds, chronicles some of the worst incidents of football-related disorder in modern times, and charts the effects of drugs and the rave scene on the hooligans. 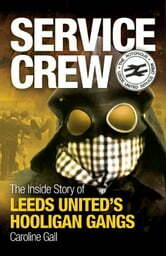 It is the definitive story of football's most vilified fans. Congratulations, You Have Just Met the I.C.F.